We want to share this opportunity with the families in your organization and community! The D.C. Opportunity Scholarship Program (OSP) provides K-12 scholarships for District families with school-age children to enroll their child(ren) in a participating D.C. private school next fall. 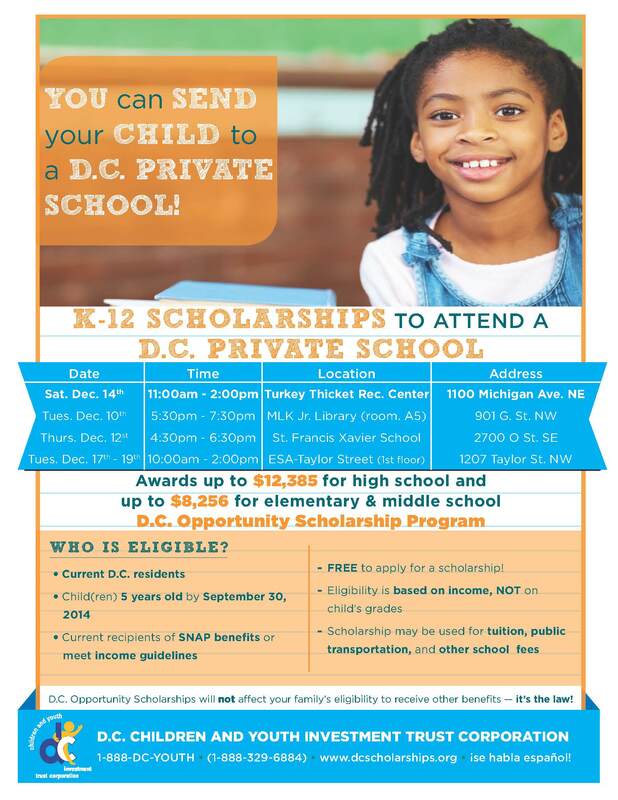 It is FREE to apply and parents can use the scholarship at one of over 50 participating private schools in the D.C. area. Scholarships awards are up to $12,385 for high school and up to $8,256 for elementary and middle schools, and may be used for tuition, books, uniforms, and other school related fees. District families can apply for a scholarship on Saturday, December 14th from 11am to 2pm at Turkey Thicket Recreation Center (1100 Michigan Ave. NE). 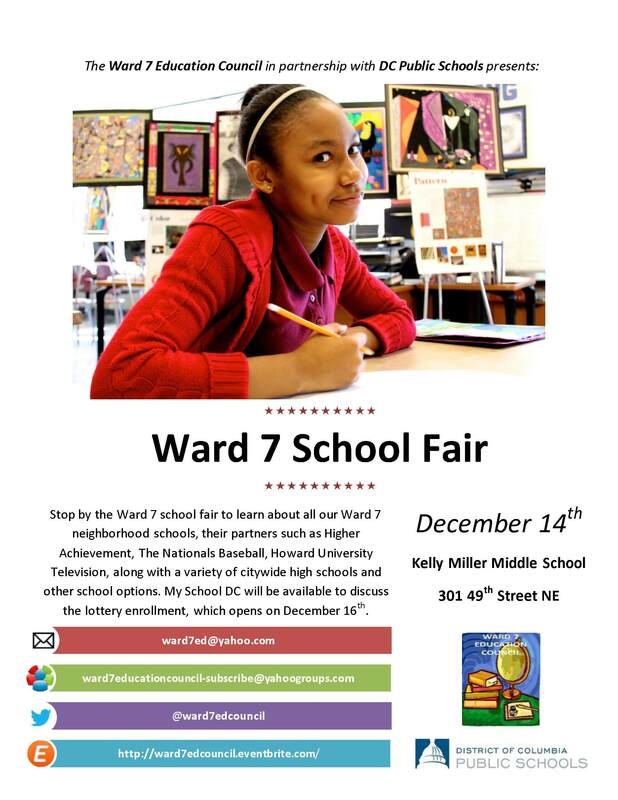 The OSP will also be hosting several events in December throughout the city (see attached flyer).